Mercedes-Benz of Fort Mitchell is proud to offer the complimentary AMG® Purchase Reward Program to qualified new Mercedes-AMG® vehicle purchases at our Ohio dealership. Instead of spending years wondering what your Mercedes-AMG® can really do, experience it with this offer. 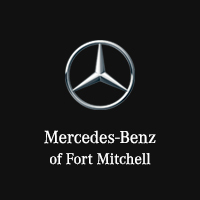 Visit your Mercedes-Benz dealer in Fort Mitchell for more information. As a Mercedes-AMG® owner you’re privy to a driving adventure like no other. At AMG® Driving Academy you’ll experience the true capabilities of numerous AMG® vehicles, including the new Mercedes-AMG® GT S, while pushing the limits of your driving ability. 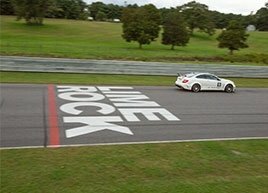 The AMG® Driving Academy is an intensive, high-speed, higher adrenaline experience for those looking to push their driving and select Mercedes-AMG® models to the limit. 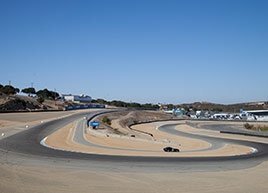 Offering five distinct program levels, from Basic to ADVANCED to PRO, to the brand-new PRO+ and DRIFT EXPERIENCE; this is where motorists become drivers. If you purchased a new Mercedes-AMG® model in the last twelve (12) months, a complimentary seat at any of the Basic Training programs has been reserved for you. The complimentary program applies to the Basic Training OR a credit of $1,895 can be put towards ADVANCED , PRO, and PRO+. Please note, this credit CANNOT be applied to DRIFT EXPERIENCE training. The complimentary program is non-transferable, and is valid for one year after the purchaser takes ownership of a new Mercedes-AMG® vehicle. All new Mercedes-AMG® vehicles purchased in the U.S. qualify for the Purchase Reward Program. The Mercedes-Benz C 450 AMG® Sedan and GLE 450 AMG® Coupe are excluded. A customer has one year from the date of delivery to register and attend using the Purchase Reward Program. 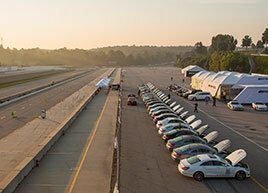 All Mercedes-AMG® vehicles used throughout the program are provided by AMG® Driving Academy. 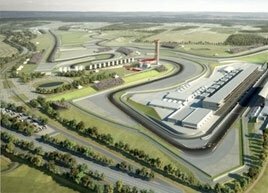 To experience this unique track offer, visit Mercedes-Benz of Fort Mitchell for full details. Our dealership offers the full lineup of new Mercedes-Benz vehicles. Stop by today to explore the power and performance exclusive to Mercedes-AMG® models.